Cut through the noise and discover things you did not know, focus your efforts and drive your business forward. At XpertHR, we are building on decades of experience analysing pay and HR data to introduce a new people analytics product. Powered by strong analytical expertise and our HPCC Systems Big Data technology, this interactive, cloud-based tool will uncover actionable people insights. Retention Analytics, the first in a series of modules, will give you the information you need to recruit, develop and retain the right people and ultimately drive your business performance. A single view of your workforce. Evaluate the health of your data and assess quality and accuracy. 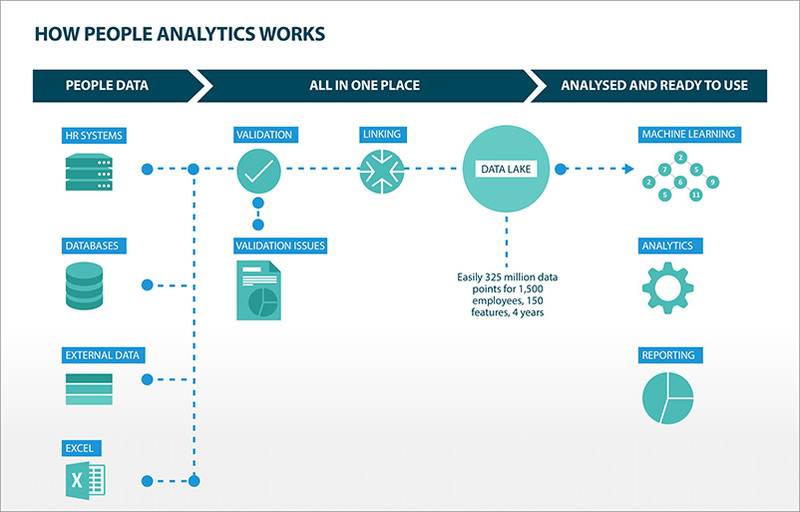 Harmonise fragmented datasets from all of your workforce systems and spreadsheets. Contact our team of experts to learn more about how XpertHR can help you take the next step on your journey to evidence-based decision-making.